A high-strength tubular aluminum frame defines the perimeter of the backpanel, channeling the weight of the pack to the center of your lower back and around your hip structure. This design allows your upper body and hips to flex naturally while minimizing side-to-side sway as you hike, saving energy and keeping you more comfortable over longer distances. 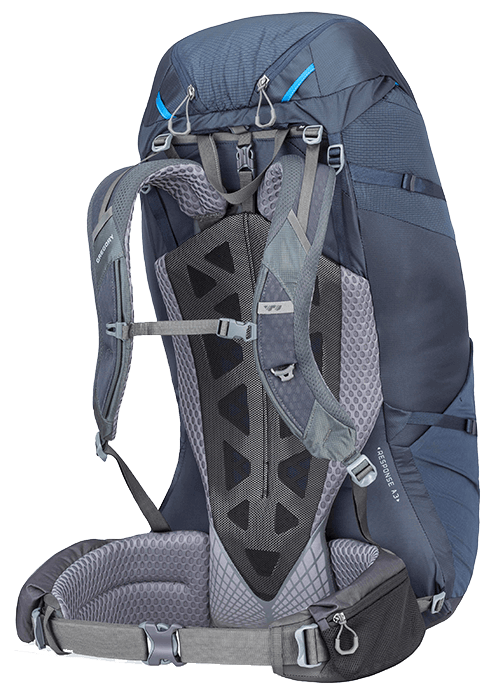 The frame also features anti-barreling support to prevent the pack from losing its shape and keeps the load close to your center of gravity. A soft-molded contoured pad ensures the weight of the pack transfers comfortably to your lower back and hips. Silicone grip overlays prevent the pad from slipping, keeping the hipbelt in position on your body’s main load-bearing structure. A pack's torso length that matches your spine length is just as important as the right boot size for your feet to deliver long lasting trail comfort and performance. This approach to fit and comfort is in our DNA, so we offer both the Baltoro and Deva packs in custom torso lengths, men's and women's specific designs, and customizable hipbelt and shoulder harness lengths. We’ve always been proud of our commitment to gender-specific design. 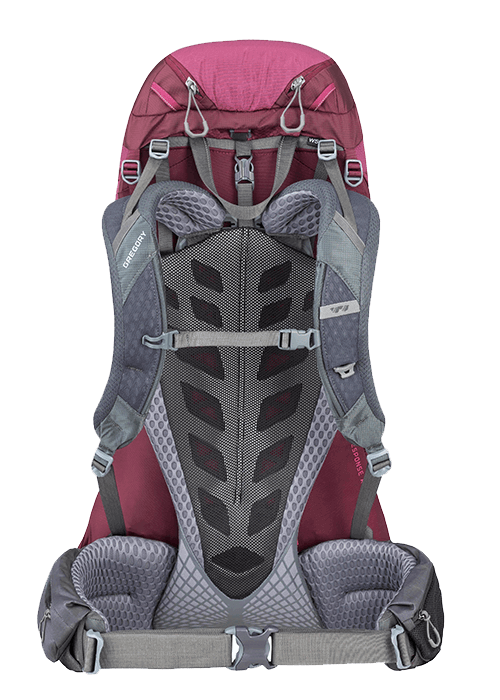 Deva and Baltoro are no exception, with their custom tailored shoulder harnesses for a more subtle chest curvature on the women’s harness, varying backpanel widths to provide better stability, and men’s and women’s backpanel and lower back padding designs that keep the weight where it should be, on your hips. We carefully designed the Baltoro and Deva to fit most body shapes out of the box. But if you need to tweak the hipbelt or shoulder harness lengths to accomodate your upper or lower torso girth, we have you covered with our QuickSwap components. They come in three harness sizes for men, three for women and five different hipbelt lengths, so no need to worry about fine tuning here! You’ll find a removable Lumbar Tune system located behind the ComfortGrip lower back padding. This simple system allows you to slightly increase or decrease the curvature of the lower backpanel to get the perfect fit for your lower back shape. After a full day on the trail small adjustments can make a big difference in comfort, so simply remove or replace the LifeSpan foam insert behind the lower backpanel padding to fine tune the backpanel to your ideal lumbar shape. Most of us benefit from this additional padding, so we recommend leaving it in place for your first hike and try removing it while on the trail.